Over the past decade, sub-Saharan African countries have been issuing sovereign bonds at an unprecedented rate and many are now facing new repayment difficulties. In a new report, we ask the question: Is there a debt crisis waiting to happen on the subcontinent? And how can we be sure that the Norwegian sovereign wealth fund is not contributing to the build-up of unsustainable debt burdens? The report "Bond to Happen? 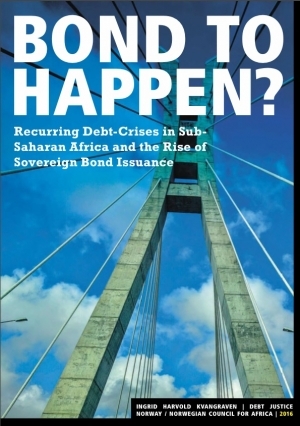 Recurring Debt-Crises in Sub-Saharan Africa and the Rise of Sovereign Bond" Issuance is released today. It explores the economic and financial situation of a selection of African countries, with a focus on the role of sovereign bonds. It finds that although there are substantial opportunities connected to sovereign bond issuance, there are also substantial risks. As financing for development is central to attaining the Sustainable Development Goals (SDGs), the question of whether the existing frameworks for and practices of contracting debt are likely to be pro-development is of particular concern. Strikingly, the report finds that the Norwegian sovereign wealth fund may be enhancing the risks associated with bond issuances, due to its inadequate rules governing bond investments. The report finds that many sub-Saharan African countries have undergone substantial transformations with respect to the type of finance they have been attracting over the past decade. Private flows are becoming more important while the importance of public flows is diminishing, particularly for the middle-income countries in the region. A crucial characteristic of the changing flows to the region is the growing importance of sovereign bonds issued in foreign currency, so-called Eurobonds. Although this form of financing is a form of debt issuance, this report finds that investors rarely apply principles for responsible lending when making such investments. 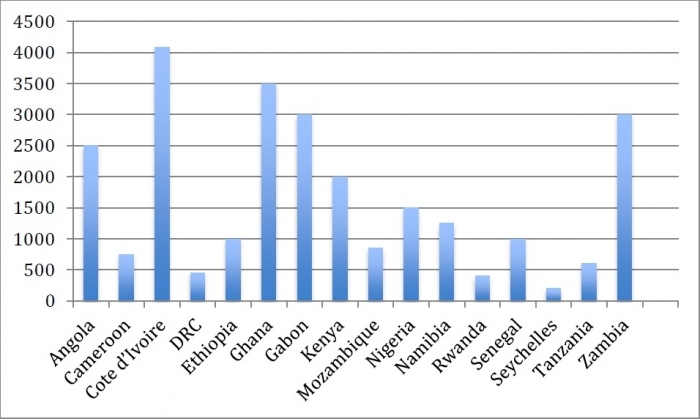 Since 2006, sixteen sub-Saharan countries have issued Eurobonds and many have issued more than one. Such bonds are considered to be a much-needed source of financing for development expenditures as well as a convenient way to plug budget deficits. These issuances have amounted to over USD 25 billion in total, which represents about 20% of foreign aid to the region. However, last year the IMF cautioned African countries that they could be endangering their debt sustainability by issuing sovereign bonds. The case studies of a small selection of sub-Saharan African countries expose a lack of accountability when it comes borrowing processes. In fact, the process of bond issuance is often plagued by lack of transparency and ultimately legitimacy, from the perspective of the citizens of the issuing country. In some cases, civil society and parliamentarians have little information about the loan contracts and what the funds are being used for. Additionally, civil society groups are demanding to be a part of the decision-making process and for there to be public debates about the use of the borrowed funds and the terms of the loans. As this is playing out in the context of a defective framework for sovereign lending and borrowing and a flawed system for debt restructuring, issuing Eurobonds entails many serious risks. These risks are amplified by the fact that many of the Eurobonds issued in sub-Saharan Africa do not contain collective action clauses. Such clauses are designed to mitigate collective action problems in debt restructurings and they help prevent creditors from refusing to cooperate in restructuring processes (in order to avoid situations like the one Argentina faced recently). How is this related to the Norwegian sovereign wealth fund? Eurobonds should be of particular interest to the Norwegian public, since approximately 20% of the Norwegian sovereign wealth fund is invested in sovereign bonds, which amounts to approximately NOK 1500 billion (according to its annual report). While the fund cannot invest in countries where UN sanctions supported by Norway are in place, there are currently no further ethical guidelines governing this form of investment. In 2015-2016 this sanction only applied to securities issued by North Korea and Syria. The lack of any substantial ethical guidelines for sovereign bond investments stands in stark contrast to the exemplar ethical regulation of equity and corporate bond investments by the sovereign wealth fund and the Norwegian government’s strong commitment to creditor responsibility. Although the Norwegian government has funded and supported the UN Conference on Trade and Development’s (UNCTAD) Principlesto Promote ResponsibleSovereign Lending and Borrowing, the Norwegian sovereign wealth fund violates several of these key principles. In fact, the only UN Principle for sovereign lending that is explicitly complied with is the principle on ‘international cooperation,’ which states, “all lenders have a duty to comply with United Nations sanctions imposed against a governmental regime”. However, the rest of the principles are ignored, such as principles to ensure due authorization, transparency, responsible credit decisions, and disclosure and publication. Unfortunately, none of these principles are explicitly considered by credit rating agencies, so we cannot be sure that the sovereign wealth fund is not contributing to the build-up of illegitimate and/or unsustainable debt. In June 2016, however, the Norwegian Parliament requested that Norges Bank Investment Management (the part of the Norwegian Central Bank that manages the investments of the country’s sovereign wealth fund) evaluate the possibility of subjecting the Norwegian sovereign wealth fund’s investments in sovereign bonds to ethical guidelines. This will hopefully lead to a strengthened framework for responsible lending through the sovereign wealth fund. How could the Norwegian sovereign wealth fund be a more responsible lender? There has been growing awareness of the ethical behavior of investors in sovereign bonds internationally over the past decade. Not only have individual asset managers sought to establish ethical guidelines for their sovereign bond investments, but the UN also published their own Principles for Responsible Investment (PRI) in 2006.
that the debt is likely to be sustainable. The ethical guidelines applied to the Norwegian sovereign wealth fund’s investments should be universal, predictable and guarantee equal treatment. Basing the guidelines on the UNCTAD Principles for Promoting Responsible Lending, that the Norwegian government has already publicly supported, could be a natural first step towards increased creditor responsibility.